Sowing grass seed properly will increase the success of creating a lush lawn for your landscape. 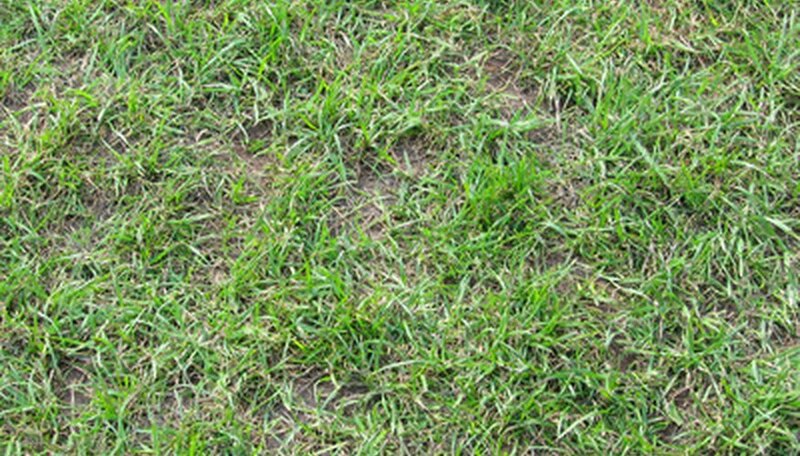 Sowing grass seed is ideal for homeowners that want a low cost, easy-to-install lawn with grass that forms a deep root structure. Prepare the planting area by making sure the soil slopes away from the home at a 1 to 2 percent grade for each 100 feet of length to provide adequate draining. The best time to plant grass seed is after the weather begins to cool in fall because there is more rainfall to keep the soil moist during germination. Contact your County or University Extension office to have a complete soil test done. The results of the test will list the soil pH and nutrient composition of the soil in order to make amendments and recommendations for fertilizer applications. Prepare the soil by tilling it to a depth of 10 inches with a tiller. Work 3 to 4 inches of organic compost or peat moss into the soil if it is poor quality or high in clay. Amend the soil to obtain the proper pH based on the soil test results. Work ground rock sulfur into the planting area to lower the pH or limestone to raise the pH. Water the soil well and let it rest for at least two weeks before planting. Smooth the planting area and lightly pack it with a lawn roller filled halfway with water for weight. Apply a starter fertilizer to the soil surface based on the soil test recommendations. Apply grass seed to the lawn area with a push broadcast spreader. Sow half of the seed by walking in a north/south direction with the spreader. Sow the second half of the seed walking in an east/west direction. This will create an even spread of seed throughout the lawn. Roll the seeded lawn lightly with a lawn roller to press the seeds into the soil for germination. Cover the seeds with a weed-free straw mulch to protect it from wash out. Water the lawn 3 to 4 times a day for the first three weeks of growth. Continue to water the lawn once a day for approximately 20 minutes until the grass becomes established. Cool season grasses require 1 1/2 inches of water during the summer months to prevent it from drying out. Fertilize the grass in late summer and again in early fall based on the soil test recommendations. This step is important for grass maintenance because fertilizing during this period will help the grass enlarge its roots. Lawn rollers are available for rent through garden supply and equipment rental stores.